Can I use BugHerd with mobile? BugHerd is primarily designed to work for desktop browsers. It utilises a unique point-and-click interface and annotation system which is best used with a mouse. Whereas the bug management interface certainly works on mobile and touch devices, bug reporting and annotation is best experienced on a desktop. 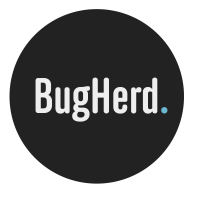 What other services does BugHerd integrate with?